The end of 2018 is fast approaching and, if you've not been stranded at Gatwick Airport due to the drone chaos (I have), you might have already begun your Holidays. As it has become sort of a tradition for this blog, also this year The IPKat is conferring a number of (symbolic) copyright prizes. For previous editions, see here, here, here, here, and here. 2018 has been an eventful copyright year, with Europe playing a key role on the global arena, also due to the ever-heated discussions concerning the EU copyright reform, most notably with regard to the proposal for a Directive on copyright in the Digital Single Market [Katposts here]. As readers know, the proposal is now approaching the end of its legislative iter, having both the Council and the European Parliament adopted their own versions of the directive and with trilogue negotiations currently ongoing. The final text of the directive will possibly see the light sometime in the first quarter of 2019. In addition to this, the European copyright scene has been also significant due to judicial developments, with the Court of Justice of the European Union (CJEU) deciding or being referred interesting and important cases, ranging from the interplay between copyright and fundamental rights (Afghanistan Papers, Metall auf Metall, Spiegel Online) to the issue of digital exhaustion under the InfoSoc Directive, from sensory copyright to the direct liability of platforms like YouTube for the making available of user-uploaded content. In all this, uncertainties underlying the future of IP rights, including copyright, post-Brexit remain. On the topic of enforcement, it is relevant to notice how the approach to online issues has been developing, also due to courts in different countries (eg, UK, Italy, Singapore) considering new forms of blocking orders. In this sense, also in 2018 it is apparent that the involvement of intermediaries in the online copyright enforcement process has remained central. As far as the UK is concerned, a potentially significant development relates to cost allocation in intermediary injunctions: traditionally the rule in copyright has been that, while rightholders bear the costs of application for an injunction, intermediaries have to cover the costs of implementation thereof. Following the UK Supreme Court's decision in Cartier last June - which related to injunctions under s37(1) of the Senior Courts Act, that is a different legislative basis for intermediary injunctions from the one used in copyright (s97A CDPA) - it will be interesting to see how far the 'new' rule on cost allocation (rightholders to cover all costs) goes and whether it would lead to a rethinking of the overall approach to intermediary injunctions, also in copyright cases. The final chapter in the ReDigi saga in the US, concerning the issue of digital first sale, is surely significant, but in my view the most important judgment of the year is the CJEU decision in Levola Hengelo, C-310/17 [here]. Despite its seemingly odd subject matter (the taste of a spreadable cheese), the issues referred to the CJEU were not odd at all, since they relate to the very core of what copyright protects, that is 'works'. 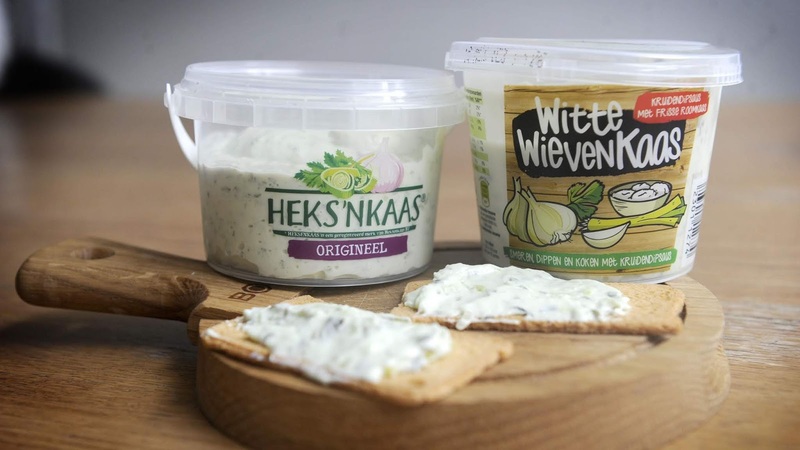 The CJEU envisaged a requirement of 'objectivity' in copyright law, and Advocate General (AG) Wathelet in his Opinion [here] expressly referred to the Sieckmann decision, concerning the graphic representation requirement in trade mark law: do the requirements for different IP rights overlap? If so, to what extent? 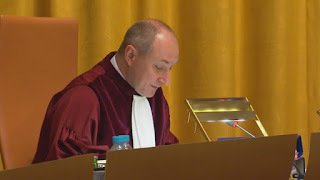 Did the CJEU envisage a fixation requirement, which under international law is a matter reserved to individual signatories? Overall, cases like this serve to highlight how 'unconventional' subject matter has been stretching the boundaries of traditional IP rights. This is true for copyright and, perhaps even more clearly, for trade mark law. Outside Europe, in the US the most significant development has likely been the adoption of the Music Modernization Act. In Australia developments in website blocking legislation have been also significant. However, the prize goes to something which is not law yet: the draft Directive on copyright in the Digital Single Market. If nothing else, this is so for the heated discussions that it has been attracting and the emotional tones used at all levels, with commentators taking things very personally and attacking those with different views calling them (rather than their ideas) 'disingenuous' (to say the least). Of course, the more aggressive, the more likes on social media. Chill pill, anyone? It is suggested that EU copyright is where the most significant developments have been occurring lately. In this sense, the CJEU has been playing a central role, and it is indeed someone from this institution who deserves the prize of 'Copyright person of the year'. It is AG Maciej Szpunar, and the reason is threefold. First, because of his active presence on the copyright referrals scene, with quite a few Opinions being issued in respect of topical areas, including communication to the public (eg The Pirate Bay case, on which see here) and - more recently - copyright and fundamental rights (he is the AG in all the three German referrals detailed above). Second, because his Opinions are never banal and - importantly - are never ideological (neither is a given in copyright law): it is very refreshing to see how, each time, the AG approaches the questions referred from national courts in a learned and interesting fashion. Examples in this sense are the recent Opinions in Afghanistan Papers [here] and Metall auf Metall [here]. Third, because the AG has had the merit of stressing the need for dynamic interpretations of the copyright acquis, in light of the rationale of relevant EU directives and also to take into account technological advancements. In his Opinions in both Vereniging Openbare Bibliotheken [here] and Verwertungsgesellschaft Rundfunk [here], the AG expressed the view that "it is imperative to give legal acts an interpretation which takes into account developments in technology, markets and behaviour and not to fix such acts in the past by adopting too rigid an interpretation": a dynamic interpretation of the provisions of law, which is capable of adapting the wording thereof to the changing conditions, allows in fact the objective sought by the provisions at issue to be attained. This is an issue that, rather than being unresolved, remains highly contentious. It relates to the direct liability of platforms for user-uploaded content. As readers know, back in 2017 the CJEU ruled that the operators of The Pirate Bay could be regarded as directly liable for users' infringements. However, it is not entirely clear to what extent this conclusion could be applied to less egregious scenarios. This is no mundane issue, of course, and is currently central to two areas. The first one is Article 13 of the draft Directive on copyright in the Digital Single Market (the 'value gap' proposal) which is rooted within the idea that platforms communicate to the public. The second one is the referral from the German Federal Court of Justice (mentioned above), which has recently asked the CJEU to rule on this very point under existing legislation and in relation to YouTube (the case has now been numbered and it is C-682/18). In all this, what is also controversial is whether a platform that is deemed to do directly acts restricted by copyright may be nonetheless eligible for the safe harbour protection in Article 14 of the E-commerce Directive. In respect of the initial formulation of Article 13, this appeared to be the case, but later versions excluded it. It will be interesting to see what the final version of the provision states in this regard. Being a bit banal here ... but the key policy development will be the agreement reached in respect of the draft Directive on copyright in the Digital Single Market. Especially with regard to Article 13, but also Article 11 (press publishers' right), and Article 3 (text and data mining). 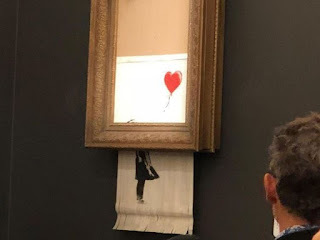 It is Bansky's Girl with Balloon, that (partly) shred right after being auctioned at Sotheby's, and greatly increased in value because of this. It stands as a memento that creativity goes beyond images and text, and that we should never stop looking at things with new eyes. New meanings can be created all the time. Is the same true also for copyright law? Should it be?